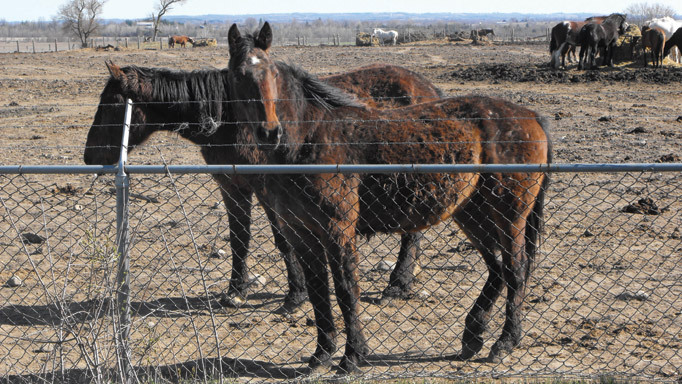 Why maintaining Ontario’s own horse population is critical. Horse racing and breeding in Ontario is an island. 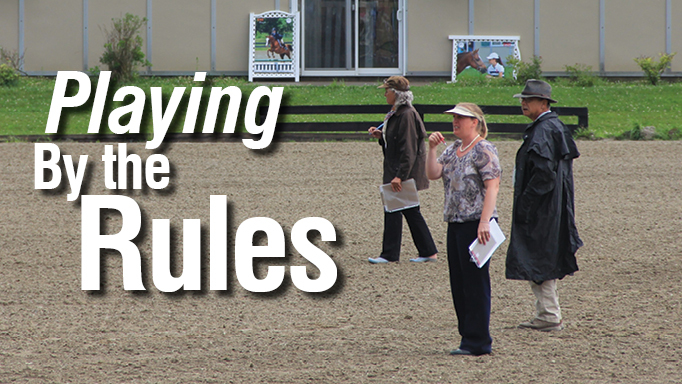 Despite easy access to the U.S. market, the additional 30 per cent added by the exchange rate and the extra costs associated with the distance make it financially impossible for most Ontario racehorse breeders to take advantage of the resources to the south. As such, it is critical that Ontario maintain its own horse population to support Ontario racing. Without a healthy breeding industry producing horses, local racetracks will continue to struggle filling races. To sustain a healthy local horse population there must be a large broodmare band and a variety of quality stallions from different bloodlines to service them. During the Slots at Racetracks Program (SARP) years, Ontario enjoyed a significant increase in breeding with approximately 2,500 mares and over 120 stallions standing in the province. We were well on our way to being one of the top producers of quality thoroughbreds in North America. The cancellation of SARP has decimated the breeding industry so that there are now just 900 mares of which over 250 are sent to stallions in the USA, leaving only a small local pool to breed to Ontario sires, which is down to roughly 70 at the present time. It’s a hard and simple fact that the breeders of Ontario need more money to sustain a vibrant racing industry. The government may believe that the Long-Term funding announcement has addressed this issue, but it has not. In fact, the main reason that the Canadian Thoroughbred Horse Society didn’t sign the agreement was precisely because there was zero money set aside for the breeders. All the money that is professed to go to the horseman is in fact going to the racetracks for operations and purses. Nothing for breeders. 1. It’s the owners (not the breeders) who receive the purse money, and many of them aren’t even Canadian. In fact, of the top 50 owners by earnings at Woodbine so far this year 30 per cent are from outside Canada. To be clear, we do need the support from the international racing community, but if the province is going to invest billions of taxpayer dollars in racing, surely they should demand that more of that money benefit the Ontario economy. 2. In his 2008 report, Stanley Sadinsky made a point of noting that “For Breeders, the anticipated ‘trickle down’ effect of the Slots at Racetracks Program has not been significant”. Further, since purses have declined from $107 million to $54 million this year what very little benefit there was for breeders has been drastically reduced. Aside from failing to address the needs of the breeder, the long-term contract was also a bad deal for the industry. While the government was proud to announce that the funding provides $104.8 million per year, the fact is that starting in 2021 when the new casino opens the OLG will start to claw back, dollar-for-dollar, up to $51.4 million per year of the rent that Woodbine receives for the casino. This will mean that the track then has that much less operating funds for purses and infrastructure. Plus, the funding doesn’t take into account any inflation over the 20 years. The racetracks have protected their interests by charging the government large rental fees for the OLG slots that they host, unfortunately the breeders haven’t fared as well. Where Ontario thoroughbred breeders once had an award program offering $21.5 million in incentives, the program has been reduced to $12.5 million and we’ve been warned by Ontario Racing Management that it could drop further still. Conversely, nearby U.S. states like New York, Pennsylvania and Maryland have invested heavily in their local agriculture with award programs that pay out over $30 million a year directly to breeders in addition to boasting favourable U.S. tax laws (they can write off 100 per cent of their racing losses for the first three years of being in business). It’s a testament to the previous success of Ontario’s Horse Improvement Program (HIP) that these jurisdictions have copied Ontario’s format, and infuriating that our own government decided to kill it. Without support for the agriculture and breeding industry in Ontario, I am afraid the horse racing industry in Ontario will be greatly diminished and will probably disappear in years to come. As a significant employer in the province, racehorse breeders are absolutely worth supporting. The government’s own report noted that the Ontario horse racing industry was responsible for 48,750 full time, part-time or casual jobs. Moreover, the industry spends about $2 billion dollars a year on goods and services of which 80 per cent ($1.6 billion) is spent primarily in rural, agricultural communities. Horses are labour and capital intensive and create local jobs in rural Ontario. Just my one farm in Uxbridge employs 20 people plus it supports the local feedmill, car dealership, supply stores and a number of other local businesses. Based on all of this, it seems to me that the government would be wise to invest $30 million per year into Ontario’s breeding and agriculture industry, separate from whatever deals they make with the racetracks. In view of the five year breeding cycle, I propose a minimum of a five year program that could be reviewed in the fourth year to ensure that goals are being met. After the cancellation of SARP, the government has made the racetracks whole again through rental fees and the long-term funding. The investment I propose would restore the depleted HIP and would give breeders the stability and confidence that the Ontario government supports the breeding industry, not just the racetracks. 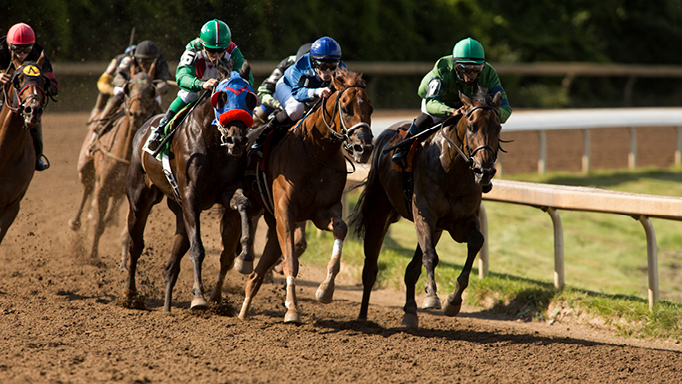 Moreover, the CTHS should be the manager of the Thoroughbred Improvement Program (TIP). The board was democratically elected to represent all the breeders in Ontario, as opposed to the racetracks which are primarily interested in running races. Since Standardbred Canada received $117,633 in 2017 to administer the Standardbred Improvement Program, it seems reasonable that the CTHS should continue to receive money to administer TIP. I make these statements solely as an individual being involved in thoroughbred horse racing and breeding for over 40 years. I’ve been sickened watching the industry be decimated to the lowest point it’s been without receiving any help from the Ontario government or from Woodbine by not providing more opportunities for Ontario sired and bred horses, as they are doing in NY, Pennsylvania and Maryland. With 48,750 rural and agricultural jobs on the line, Ontario needs this support. Catherine Willson reviews the animal welfare legislation in Canada. 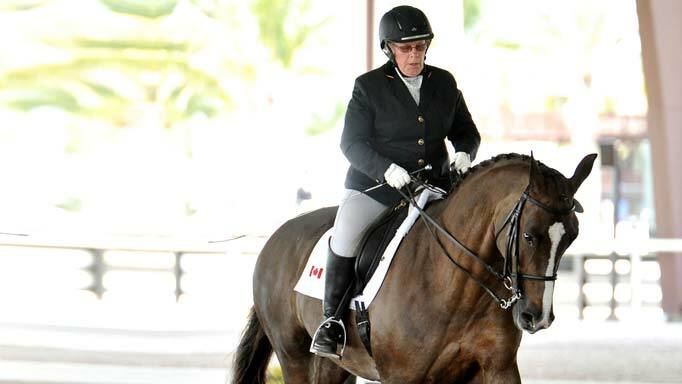 Para-dressage rider Lynne Poole knows how to overcome adversity.